Oh and this is a competition between Me and Me, trying to outdo the previous years of celebratory breakfasts (like Monica Geller with Thanksgiving dinner). Ever since travelling to San Francisco a couple of years ago and eating one of Tartine’s ‘Morning Buns’ I’ve known that one day I’d want to make them myself but as the memory faded, so did the motivation. 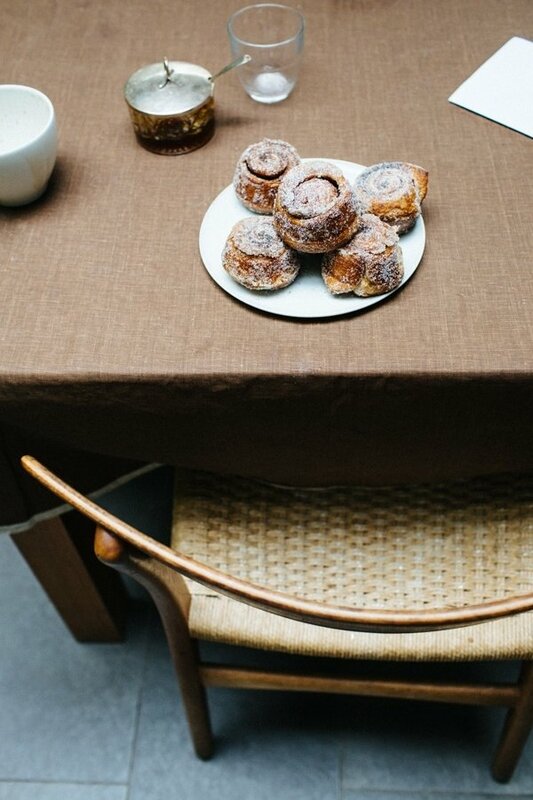 Last year I was reminded of those flaky, sugary buns during breakfast at Cellar Door Provisions in Chicago. We’d already sat down to enjoy their sourdough blueberry muffins and croissants when my mum spotted a restock of the tiny glass shelf occuring – this time with different baked goods. I saw the clover-like folds of dough and identified this new mystery pastry as a Kouign-amann which I’d never tried before. Of course we got a couple of those too (they were warm, I couldn’t resist!) and their similarly flaky, sugar crusted character got me thinking about making morning buns again. Luckily I have a weirdly good memory for recipes so recalled seeing a recipe for ‘Sugar Buns‘ on Tara’s beauty of a blog. I read through the recipe and noted the use of Nigella Lawson’s food-processor Danish Pastry which I’d tried before (after re-jigging the recipe a tad) with great success. The best thing was that I was actually organised enough to be looking at the recipe the night before my birthday, meaning I could make and shape the pastry in the PM then wake-and-bake the buns in the AM. The 45-minute proving period required in the morning is the perfect amount of time for having a shower (hence the damp hair in the pics), getting dressed and brewing a pre-breakfast pot of coffee. These really are pretty damn easy to make, don’t be intimidated by the lengthy instructions! The rolling and folding of the butter flecked dough doubles as the kneading and it takes about 10000% less time than making croissant dough. I also cut down the waiting time considerably by simply shoving the dough into the freezer, not the fridge, before the roll/fold process. Given that all twelve buns were gone in a day (I ate three, wahoooooo! Birthday privilege!) I think a wise move would have been doubling the dough recipe. Then I could have kept half of it in the freezer for omg-I-need-breakfast-buns-now moments ….e.g. every single day. 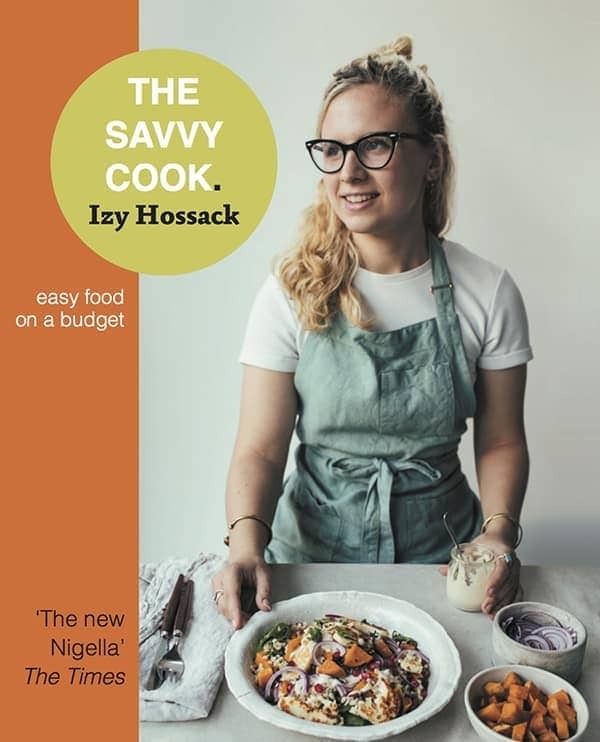 – Recipe and method adapted slightly from ‘Sugar Buns’ by Seven Spoons (where the Danish Pastry recipe is from Nigella Lawson). – When rolling + folding the dough: If you do this quickly, you can get all the roll-and-folds done in one go. Otherwise, if the dough seems to be getting warm and sticky, it’s wise to put it back in the freezer for 10 minutes between every couple of fold-and-rolls. You don’t want the butter to get too soft as it needs to stay cold to create the layered effect. – This is a night-before-assembly recipe! Place the flours, salt and yeast into a food processor and briefly pulse together until blended. Place the sugar and cardamom pods into a coffee grinder, blender or pestle + mortar and grind until fine. Add the cardamom sugar to the food processor. Cut the butter into 6 large chunks and scatter over the flour. Pulse in 3 times. Whisk together the egg, water and milk then pour into the food processor. Pulse together until a shaggy dough forms - you should still be able to see chunks of butter all over the place. Transfer the dough to a bowl and freeze for 30 minutes. Roll the cold dough out on a floured surface into a 20-inch square. Fold the left third of the dough into the middle and then the right third into the middle so that it overlaps the other fold, like a business letter (see the .gif below the recipe). Rotate the dough 90-degrees clockwise so that the long edge is facing you and roll out again into a 20-inch square. Repeat the folding, rotating and rolling four more times (so you have completed a total of 5 fold and rolls) (see notes). Wrap the 20-inch square of dough in cling film and put it back into the freezer for 10 minutes. Brush the cups of a 12-cup muffin tin with some of the melted butter from the cinnamon filling. Dust each muffin cup with the extra granulated sugar too. Stir together the 2 tbsp of granulated sugar, 1 tbsp powdered sugar and ground cinnamon in a small bowl. Take the chilled dough out of the freezer, unwrap and roll it out on a lightly floured surface into an 8x20-inch rectangle. Brush the surface all over with the melted butter and sprinkle evenly with the cinnamon-sugar. Roll up tightly into a 20-inch long snake. Cut into 12 equal pieces and place (cut side down) into the prepared muffin tin. Cover loosely with oiled clingfilm and put into the fridge overnight. In the morning take the muffin tin out of the fridge, uncover and leave at room temp for 45 minutes to prove (20 minutes into this proving period preheat your oven to 350 F (180 C)). Bake the buns for 17-20 minutes until well risen and deeply golden. Run a butter knife around the edges of each bun while hot to loosen it from the pan. Combine the vanilla sugar ingredients in a wide dish and roll the warm buns in it to coat. These look fab! Love anything cinnamon (obv)! I hope it doesn’t have to be a special occasion to make these because they’re definitely happening immediately. Lovely! That hair. Those cabinets. THESE BUNS. Hope you had the best birthday, lady. Oh my, these look amazing! I’m addicted to these kind of breakfasts after backpacking Nordic Europe in December. I need no other food at that time of day now…ok, maybe porridge mid-week, a girl’s got to be healthy a few days a week right? This post is insanely perfect. I adore your awesome blue hair, and seriously, these photos are stunning. Also… Monica Geller … yes. Happy B-day, Izy! I am simply drooling over these buns right now! What a perfect way to celebrate. Love them! Hello Izy! Just wondering, what kind of camera is that with you in photo #2? I really like it! Oh my word! I have to try these as soon as possible. Mouth watering as I type! Happy birthday! These look like a fab alternative to croissants for flaky breakfast pastry deliciousness. Oh my goodness this is so exciting! Gail’s bakery in Hampstead sells cinnamon buns just like this! I dont live in London anymore (I live in Botswana, the land that baked goods forgot) so I have been craving them something fierce for the longest time! Thank you for this recipe, I cant wait tommake them! Oh my goodness, i’m not going to be able to get these out of my head all day! They look incredible, those swirls, THAT SUGAR! Wow. 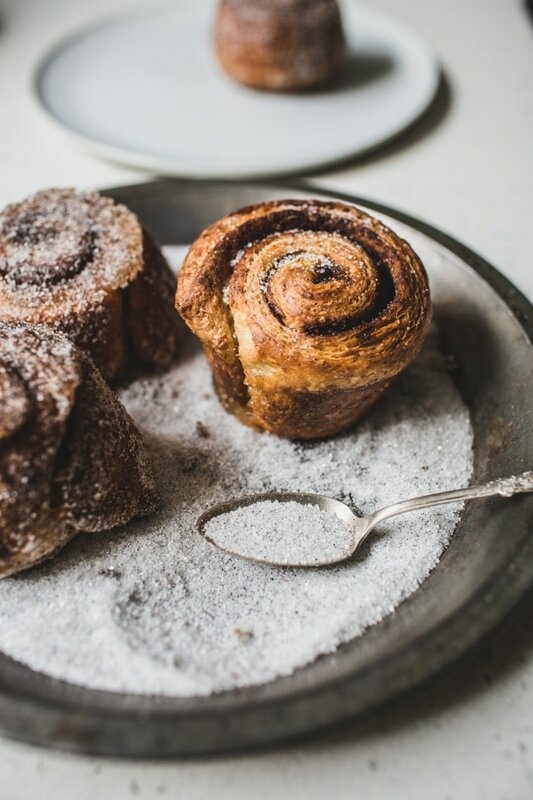 I think these would be the perfect thing to make for my Mum to wake up to on Mother’s Day, she is a huge cinnamon fan, and an even bigger fan of baked goods in the morning. Yum. Yum. Yum. Yum. Yuuuuuuuuum! I think I might have to make these before my birthday, I’m not sure I can wait until then. Hope your birthday was filled with other wonderful delights like these! I am a huge cinnamon lover, and darn these look the business! Perfect breakfast treat on your birthday! Happy birthday! These look completely amazing. 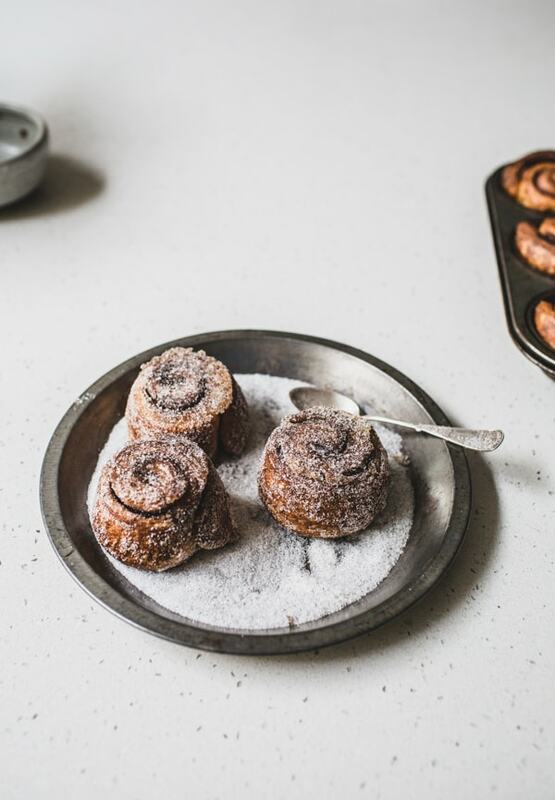 My husband and I were just in SF and he ate one of those morning buns – the whole place smelled amazing so I can only imagine how gorgeously scented your kitchen was while baking these beauties! I have become slightly obsessed with cinnamon recently. I stir it into natural yoghurt for my desert and it works a treat. Happy birthday!! 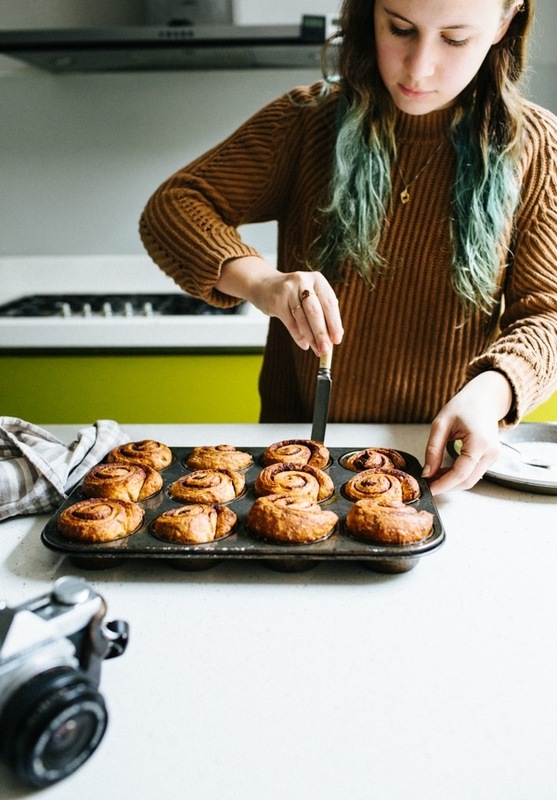 Sorry I am late to the party but I am all for make ahead breakfast buns esp. if it buttery and dusted in sugar. I wish I was in your kitchen when these were baking. Izy you are baking goddess. Happy Birthday! These buns look simply divine; the lamination of the dough really makes those flaky layers look like perfection. They look so sugary and delicious, just… wow! 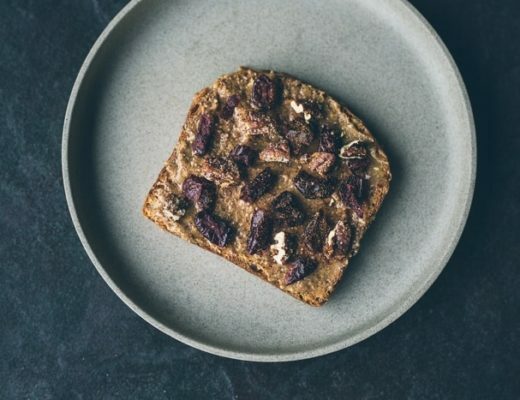 It’s kind of a travesty I don’t eat those morning buns more often…Tartine is right by my work and only about a 15-20 min drive from my house…I’m totally making these. Happy birthday!!! These are perfect birthday breakfast fodder they look so good, hope you had a good birthday. Putting these in the freezer – best idea ever!! Hope you had a wonderful birthday Izy! You mentioned doubling and freezing half the batch…would you just pull them out of the freezer, proof them and then bake?…this would be ideal for morning breakfast get togethers! Happy birthday! What a perfect way to start your birthday! These look insane. Cinnamon bakes are my all-time favourite, these are the most gorgeous colour too, mmm. Thanks so much for sharing! 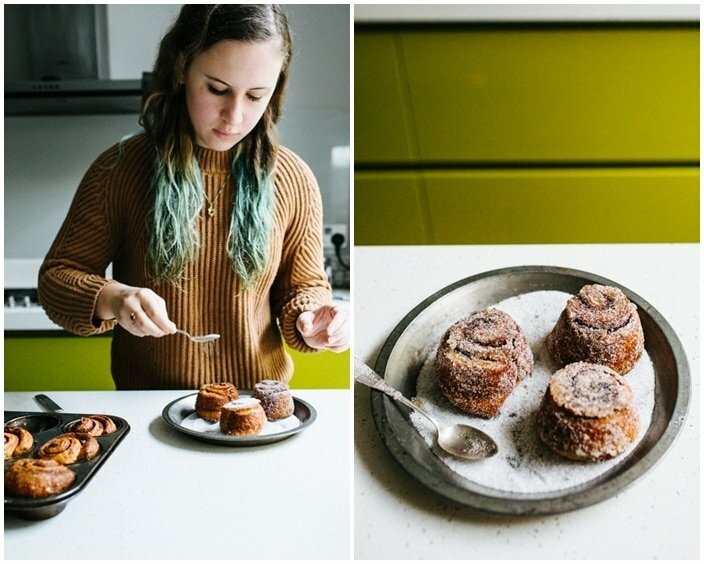 I am a French culinary blogger ( so excuse my English a little awkward ) and I came to see What did our friends across the Atlantic . I am delighted by your blog , beautiful pictures and beautiful recipes. Holy cow Izy, this post! 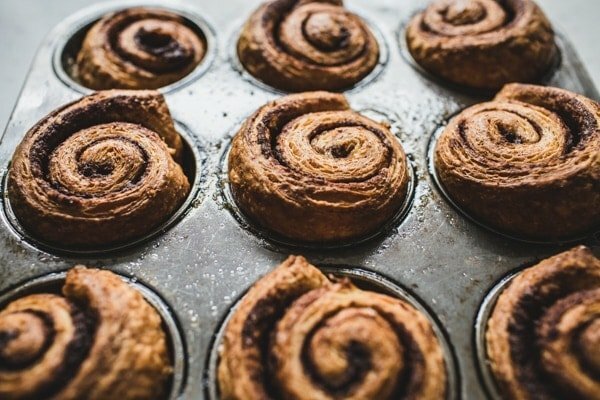 These buns are just absolutely stunning (btw, are you talking about being inspired by Tartine Bakery in SF’s morning bun? Bc I dream about that bun almost every day), and those flavors!!! Happy Birthday! Thanks, Michelle! And YEP 🙂 We literally went back to Tartine bakery in the morning before our flight home to buy those buns for fancy plane food! Wahooo, happy belated BDay Izy! Oh my, I wish I had these for breakfast rather than the (ever so lovely BUT!) bran flakes from Whole Foods Fulham. You weren’t very far anyway! I can’t wait to make them. Must be tomorrow! these look fantastic! I mean we all two or three of these to satisfy our sugar cravings early in the morning right ? And your F.R.I.E.N.D.S reference – YAY! PS – we share the same birthdays, Hope you had a blast ! Wow- these look amazing! Do you have to wait for your birthday to make them or is right now okay? Wow! I am such a breakfast nut it’s unreal and these look AMAZING. Basically anything covered in sugar can’t be bad right?! How do we know the yeasts are activated? Does the dough rise overnight? Hi Pauline! The dough rises slightly in the fridge overnight but the low temperature does retard the yeast. In the morning when you take the dough out of the fridge and let it rise at room temp. for 45 minutes its volume should increase a lot more. Wow. These were great! I made the dough last night and then baked them this morning. You end up with super flaky, crisp layers, similar to a croissant without the hard labor of making real croissant dough. What a great trick. I will experiment with different fillings now that I see how easy these are to make- I love an almond paste with cardamom filling, so that will be my next step. Thanks for turning me on to these! Hi! I’ve always wondered, when you’re in the picture do you use a tripod or do you have someone else take the photo for you? Cos they turn out so well!